Cambridgeshire based client Dow AgroSciences has just launched Arylex Active, a major leap forward in herbicide development for the UK agricultural sector. Dow AgroSciences has spent nearly 10 years developing this new class of chemistry and its introduction is a huge moment for UK cereal growers. Being new and not derivative chemistry, it paves the way for a fresh generation of broad-leaved weed herbicides capable of tackling a greater number of weeds in cold conditions. In addition to being instrumental with the product’s development, Alex also worked with us on the development of the launch campaign which broke earlier in the summer at Cereals 2016 in Duxford, Cambridgeshire. Our campaign ‘Relax. It’s Arylex.’ plays on the key benefits that Arylex Active delivers to the grower; it’s more cost effective and far easier to apply than any competitive or predecessor product. Benefits that every grower is looking for. 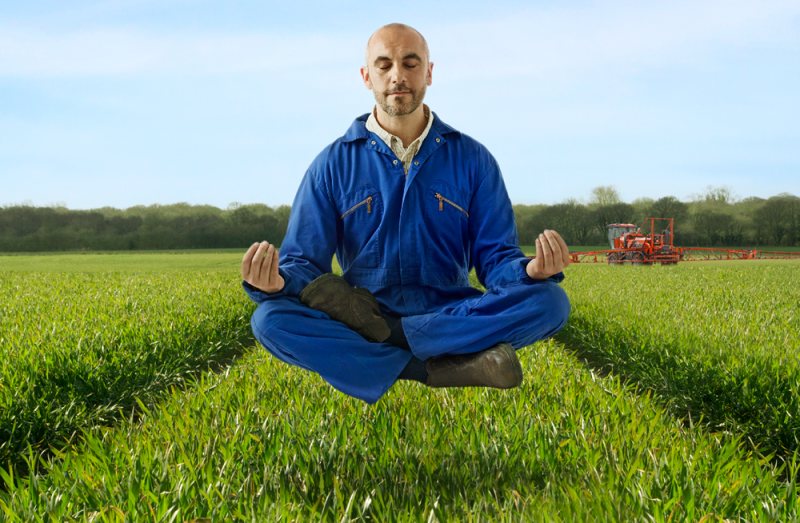 The campaign involved many early mornings in our hero field of emerging winter wheat, searching talent agencies for yoga masters and/or contortionists who could assume and hold the lotus position, begging the loan of a state of the art commercial crop sprayer and some canny post production to create the central launch theme. The campaign broke in the sector press, online and at trade events, through Dow social media channels and through a network of trade presentations.